The paramedical staff consist of Office staff, Medical assistants, Nursing staff and Optometrist. Presently the optometrist post is vacant. The patients come to the registration counter and get a new card made or the old records are retrieved by Bessy, our clinic clerk, assisted by Medol and Biseh. 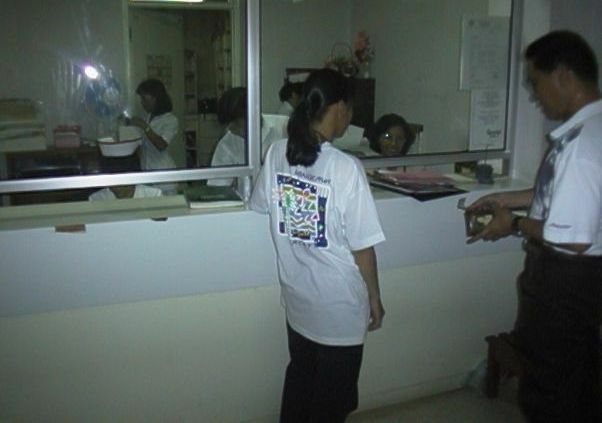 A view of the registration counter. The office clerk Betsy in her seat with TAN Jimis giving a helping hand. The record room contains the case notes of patients arranged by serial number, for easy retrieval. Attendents Medol and Biseh know them like the back of their hand. In addition they do other investigative procedures like visual field assessment on Octopus automated perimeter, computerised automated refraction etc. M.A. 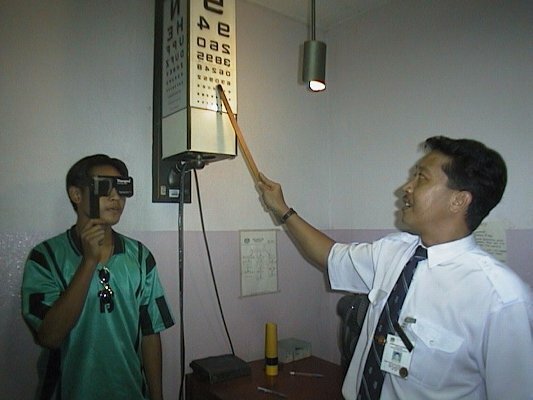 Joseph checking the distance visual acuity of a patient on a reverse snellen optotype. 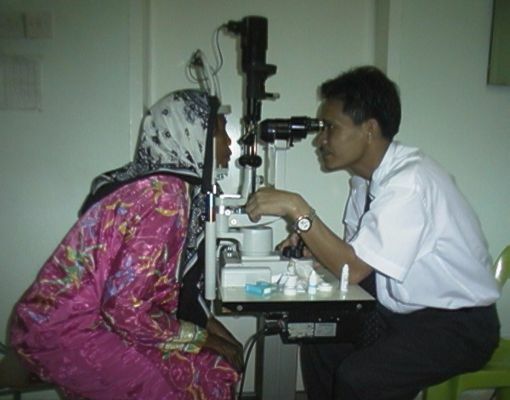 All patients undergo intraocular pressure measurement by a Non-Contact Tonometer. A young child in her mothers lap being examined by M.A. Louise. The Medical assistants are trained to provide basic screening examination, including slit lamp examination. M.A. Awang is seen here examining a lady. 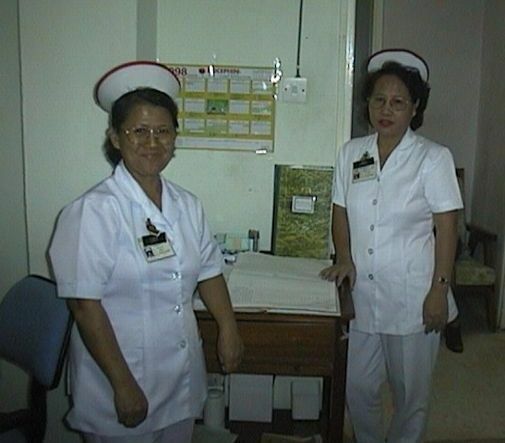 The cheerful presence of Staff nurse Fauziah calms the anxiety of all patients. TAN Jimis is the smiling nightingale in the clinic.